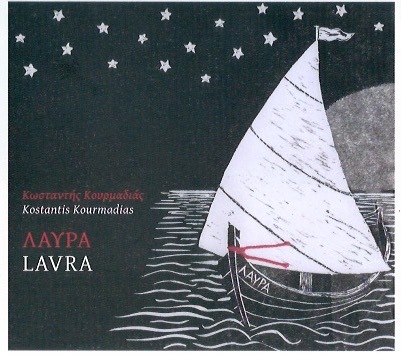 The songs on Lavra are new compositions by Kostantis Kourmadias, played on traditional instruments and following the structures and modes of Greek traditional music. The arrangements are built around the powerful, subtle and complex sound of the tambouras (saz), restoring this beautiful and simple instrument to its rightful place at the centre of Greek traditional music. Kostantis Kourmadias' deeply poetic lyrics express a range of emotions including love and celebration, despair at the troubles of the world, and finally a celebration of the sacred places where we find hope. You can dance to almost all the songs: Sta Tria, Syrtos, Kalamatianos, Maniatikos, Jeni Jol, and Karsilamas. She has all the stars above her mast, and doesn’t fear the winds.